Brings Blend client for iOS, Windows and Android into the mix. Troubled smartphone maker Blackberry is going back to its roots with a new device, the Passport, which features a button keyboard and a square form factor. Measuring 128mm x 90.3mm x 9.3mm, the Passport weighs 194 grams and comes with a full QWERTY physical keyboard that Blackberry claims is four times more accurate than virtual, on-screen typing. The square device has a 11.5 cm screen with a 1:1 aspect ratio and 1440 x 1440 pixel resolution. This gives the Passport a density of 453 pixels per inch for the ten-finger, 16 million colour screen. A Qualcomm Snapdragon 800 chip set with a quad-core 2.26 GHz Krait 400 and Adreno 330 graphical processor drive the Passport, with a large three gigabytes of RAM, and 32GB of device storage. 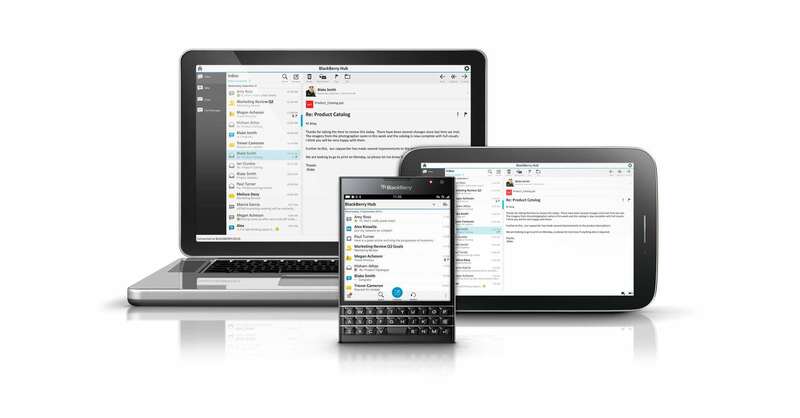 Passport will run the new Blackberry QNX-based 10.3 operating system that comes with features such as the Blend messaging and notification client that is available for OS X, Windows and iOS as well as Android. There is also a 13 megapixel camera with optical image stabilisation, and advanced sound processing with four microphones and Blackberry's natural sound technology. Passport features multi-band 3G and 4G compatibility, in the 700/800/850/900/1900/2100 as well as 1700, 1800 and 2600 mega Hertz frequency bands. Battery life is a particular focus for Blackberry which has equipped the Passport with a 3450 milli Ampere hour battery that the company promises will last for thirty hours in mixed use. 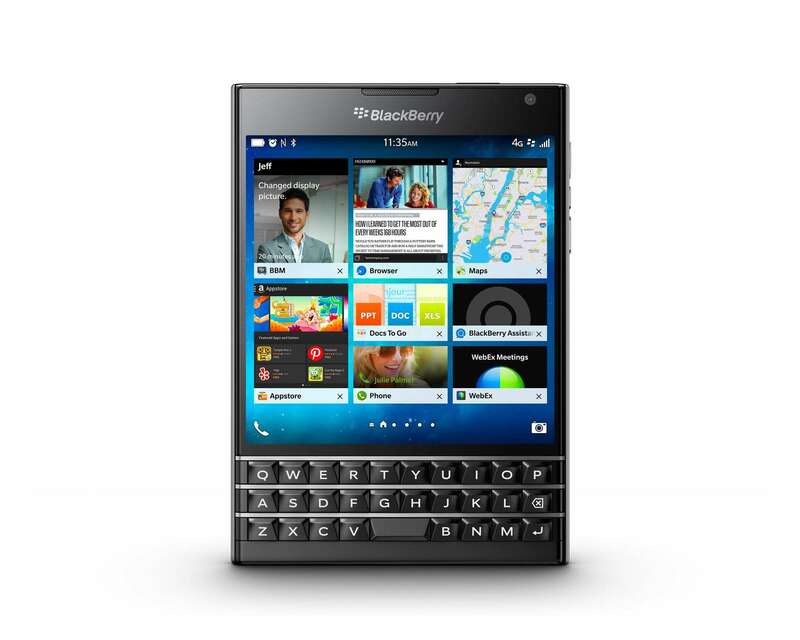 In terms of apps, Blackberry has enlisted the support of Amazon which has made its AppStore available on the Passport. Blackberry Australia declined to release information about device availability and cost, but said Optus Business will be the channel for both Passport and Blend.